Bad Credit Loans In Australia – Are They Right For You? After seeing a broker or bank – you find out you’ve got bad credit! After picking yourself up off the floor – you decide to proceed with that home or business loan anyway. But is your only option to seek out one of the many “bad credit” loans in Australia at a much higher interest rate? There could be an alternative for you…determining whether you have grounds to remove the bad credit tarnishing your credit file with the help of a professional credit repair firm. We have provided a basic credit repair suitability test in this post which you can use to find out whether it could be a better option for you than a bad credit loan. By Graham Doessel, Founder and CEO of MyCRA Credit Rating Repairs and www.fixmybadcredit.com.au. A bad credit report is a big deal. For between 5 and 7 years, you are generally refused mainstream credit with most lenders – especially in the current economic climate. Often people can’t even get a mobile phone plan. Despite this, many bad credit loans are available out there for people who are on the outer due to bad credit defaults and other credit listings. But do bear in mind, bad credit (non-conforming) loans generally come at a much higher interest rate, which could cost you tens of thousands more in interest just over the first three years of the loan. For example, on a standard $300,000 loan the difference in 2% from the standard variable rate of say 7% to a bad credit loan rate of say 9% could mean your family is paying as much as $15,046.57 more over those first three years just in interest. Use our credit repair savings calculator to find out what it could cost you. Recently savingsguide.com.au published a great article titled A Guide To Loans For People With Bad Credit. It features some pertinent advice about choosing a loan after being refused credit with a mainstream lender. It goes through the steps you may need to take to secure finance in Australia, and includes some final tips for securing a loan. The central tip is, prior to committing to a loan attempt to fix your bad credit issues first. “Loans for people with bad credit should really be a last resort, as opposed to the only option. See what you can do to repair your credit rating beforehand and hopefully begin looking for loans just as anyone else would,” savingsguide.com.au’s Alex Wilson says. Australians should not put up with bad credit if it shouldn’t be there…contrary to what a Creditor may tell you, bad credit in Australia can be removed from your credit file if it was listed unlawfully. If you’re not sure whether you would qualify for credit repair, take a glance at this suitability test. If even one of these 6 questions seems to fit your circumstances, you would be a good candidate for assessment for credit repair by a professional. 1. Is the credit listing on your credit file unfair? 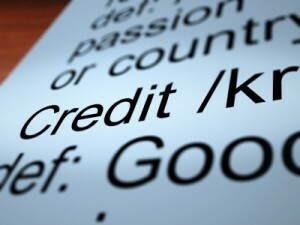 If you believe the Default, Clear-out, Writ or Judgment on your credit file has been unfairly placed then you may have grounds to dispute the credit listing with your Creditor. A professional credit repair firm will build a case for its removal based on credit reporting legislation and also legislation pertaining directly to the Creditor’s industry and your specific circumstances. 2. Is the credit listing on your credit file a result of identity theft? If you have been a victim of identity theft, the onus will still be on you to prove you didn’t initiate the credit. A professional credit repair firm can talk you through the steps to take once you have contacted Police which will help you to recover your good credit rating once again. The process will involve proving to Creditors that you didn’t initiate the credit in your name. It’s not always easy, but it’s a point worth fighting for. 3. Have you been given the required notification of the credit listing prior to it being placed on your credit file? Creditors are bound by strict legislation when it comes to listing defaults, writs and Judgments on credit files. If you suspect you may not have been given the right notice by your Creditor, you may have grounds to dispute the listing and request its removal. It is essential that listings are placed accurately on Australian credit files, and we believe Creditors should adhere to Australian law at all times when placing listings on credit files. If you’re not sure it would be well worth calling a professional credit repair firm to assess your credit file for you. 4. Does your credit report reflect that the Creditor has the wrong contact information for you despite you notifying them otherwise? If you have moved, sometimes bills get sent to your old address. Wrong addresses and phone numbers listed on your credit file can often mean the Creditor has not given you the appropriate notice or warning letters prior to the credit listing. If you think this has happened to you, then this mistake could mean the listing has been placed unlawfully on your credit file. 5. Is there an out and out mistake on your credit file? Creditors undergo system errors and issues all the time which can sometimes lead to credit listing mistakes. Human error is also a common reason for mistakes on credit files. Sometimes the wrong account can be attributed to you because of a similar name or mistakes with billing amounts or billing addresses can lead to debts you shouldn’t have. If you suspect a creditor may have made a mistake on your credit file, or you’re just not sure, contact a professional credit repair firm who can verify that for you and build a case for the credit listing’s removal from your credit file. It doesn’t have to be a big mistake to constitute an unlawful listing. 6. 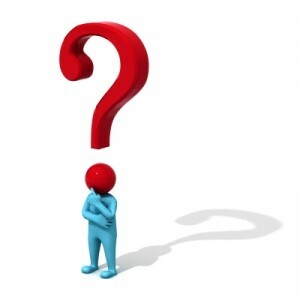 Were you undergoing some kind of unusual hardship circumstances which you believe the Creditor has ignored prior to placing the default, writ or Judgment on your credit file? If you have told your Creditor you were undergoing financial hardship, then they are generally bound to help you make better payment arrangements as a solution to this hardship rather than immediately placing a credit listing on your credit file. If your credit report reflects this issue, a professional credit repair firm might be able to help you have this unfair listing removed. There are many more reasons why you might be suitable for credit repair based on your individual circumstances. If you would like an assessment for your suitability for credit repair, talk to a consultant at MyCRA Credit Rating Repairs who can assess how you might fare in removing bad credit before you commit to any bad credit loan in Australia.